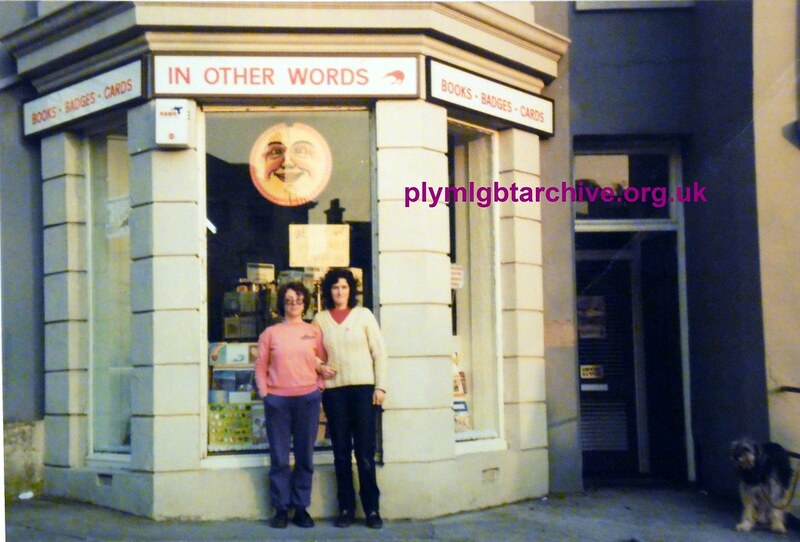 The ‘In Other Words’ Bookshop was opened on Mutley Plain in 1982 by Prudence de Villiers and her partner Gay Jones. The shop broke new ground in Plymouth as it became a focal point for Plymouth’s few but determined radical activists. The shop sold a wide range of literature that was generally unavailable in most bookshops at the time including anti-war, environmental and gay and lesbian titles. The bookshop sadly closed in 2007 after 25 years. In 1994 Prudence helped start the Plymouth Lesbian Line at Virginia House, for which she volunteered for several years. She was also involved in the formation of Plymouth Pride Forum in 1997 and instrumental in organising Plymouth’s first “Pink Saturday” in 2002 as well as other Plymouth Pride events. In 2008 Prudence’s contribution to the city was recognised when the Pink Pride of Plymouth Award was presented to her by Lord Mayor, Councillor Brian Vincent.